Is there really any better way to learn a new skill and test your creativity than surrounded by friends and family, and a glass of wine? We think not! Throughout the year, Folino Estate holds a variety of workshops that allow guests to create beautiful DIY projects the can be used for decor, gifts, and more! Not only are our workshops taught by knowledgable instructors such as our Folino Estate horticulturist, skilled outside vendors, and even Folino Estate Co-owner Andrea Folino, but each includes a complimentary glass of wine upon entry, a 10% off voucher to be used the day of the event, and a variety of light bites to enjoy during the workshop. 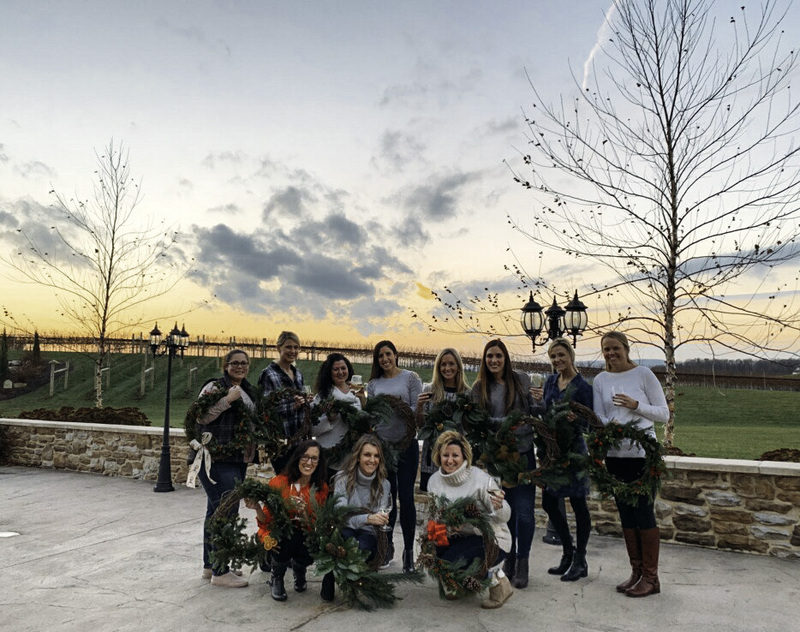 Check out some of our most successful workshops featured below including our Fall Floral Workshop, Wreath Workshops, and Christmas Centerpiece Workshop, all from 2018! 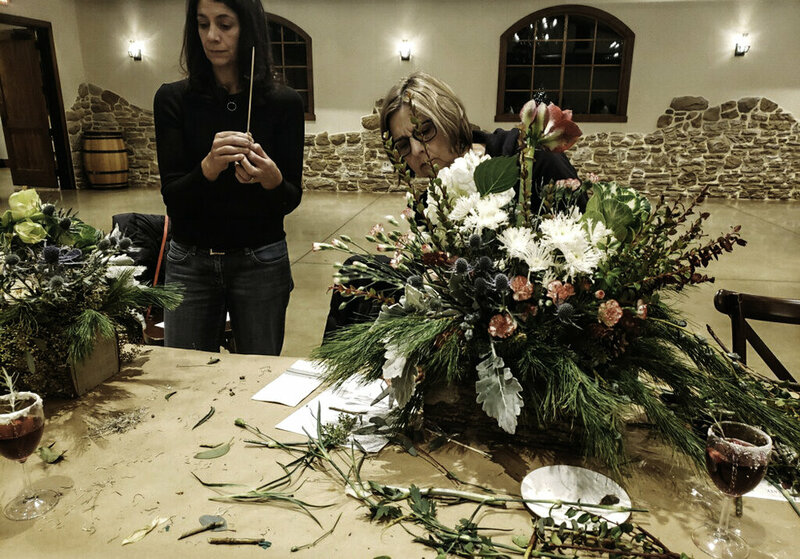 Fall Floral Workshop was an opportunity for the participants to create a beautiful floral arrangement to adorn their tables just in time for Thanksgiving. Guests could choose from a plethora of freshly bloomed floral and greenery options beaming with fall colors. The workshop instructed guests on how to properly place the flora into the provided vases so the arrangements would have captivating visual presence from every angle. Guests were able to practice the techniques taught in the workshop while maintaining the creative freedom to make their arrangement one of a kind (all while enjoying a glass of wine)! We kicked off the Holiday season with 2 sessions of Wreath Workshops! With all materials provided, our participants were able to create truly unique wreaths to decorate their homes for the holidays. Our Private Event space was filled with ribbon, pine cones, holly, laughter, and wine! How gorgeous did these come out? 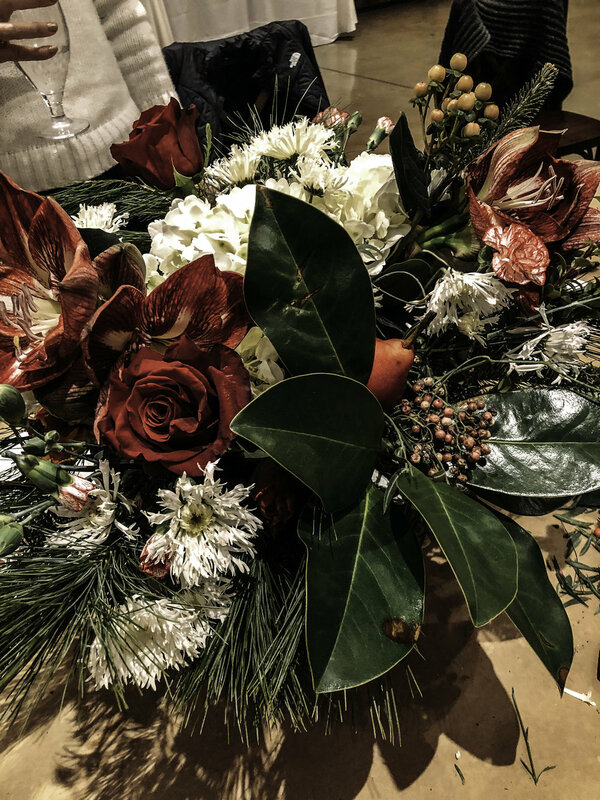 With overwhelming turnouts for our Fall Floral and Wreath Workshops, we decided to hold our first Christmas Centerpiece Workshop for guests to create gorgeous arrangements to add aesthetic to their Christmas tables. Participants enjoyed spending time with friends and family while putting their creativity to work, all while enjoying light bites, wine, and sipping on our specialty White Chocolate Cranberry Sangria. Great job ladies! We would love to have YOU join us at our next Workshop! 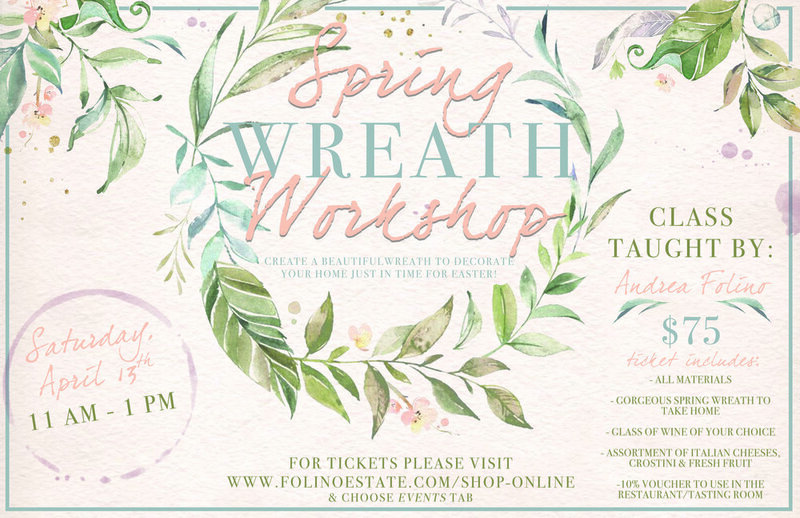 Join us on April 23rd from 11 am - 1 pm for our first Spring Wreath Workshop, instructed by Andrea Folino! For tickets, please click here. We hope to see you there!